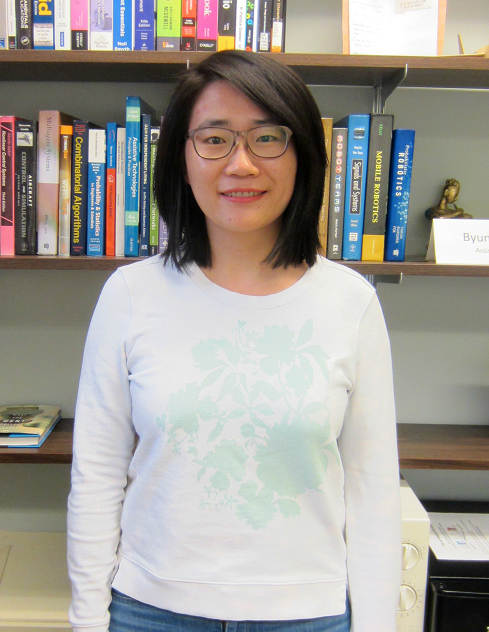 I am working as a postdoctoral researcher under the supervision of Dr. Byung-Cheol Min and Dr. Jiansong Zhang. My current research project is focused on applying Unmanned Aerial Vehicle (UAV) to construction safety. Specially, there are two stages of my current project: 1) investigating the feasibility of UAV as a safety inspection tool on site via an online survey; 2) navigating UAV on site in a semi-autonomous way by including the knowledge of construction workers. The output of the project will help us better understand the current application status of UAV for construction safety in the industry, and help us build optimized flight routes of UAV for safety inspection by incorporating construction workers’ safety knowledge. Yuting Chen, Jiansong Zhang, and Byung-Cheol Min, “Applications of BIM and UAV to Construction Safety”, 7th International Construction Specialty Conference jointly with the Construction Research Congress, Montreal, Canada, 2019. Yuting Chen, Brenda McCabe, and Douglas Hyatt, "A resilience safety climate model predicting construction safety performance", Safety science, 109, 434-445, 2018. Yuting Chen, Brenda McCabe, and Douglas Hyatt, "Impact of individual resilience and safety climate on safety performance and psychological stress of construction workers: a case study of the Ontario construction industry", Journal of safety research, 61, 167-176, 2017. Yuting Chen, Brenda McCabe, and Douglas Hyatt, "Relationship between individual resilience, interpersonal conflicts at work, and safety outcomes of construction workers", Journal of Construction Engineering and Management, 143, no. 8, 2017.